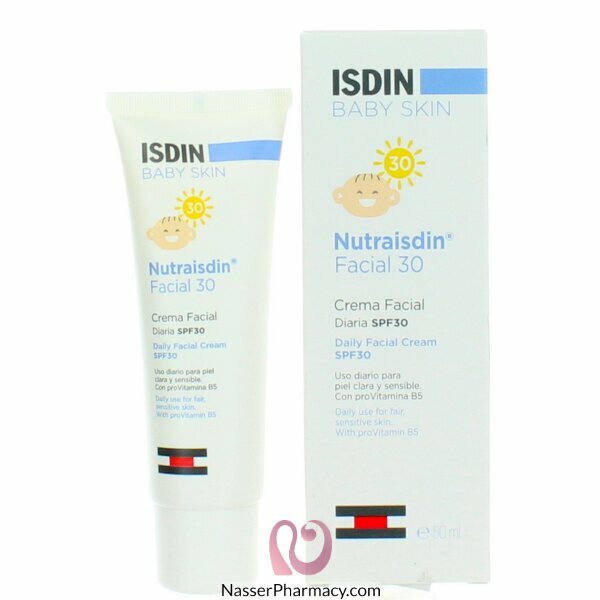 "Nutraisdin Facial Cream 30 Especially indicated for the hydration and photoprotection of baby's fair and sensitive facial skin. For daily use. Its UVA and UVB filters with SPF 30 hydrate and protect against the sun's rays: Tinosorb M, Tinosob S and Polysilicone-15 (UVB). Dexpanthenol restores barrier function. Its formula enriched with aloe vera soothes and hydrates the skin. Vitamin E provides an antioxidant effect which helps inhibit the production of free radicals. How to use: Gently apply to cleansed, dry skin. Apply as often as required. "